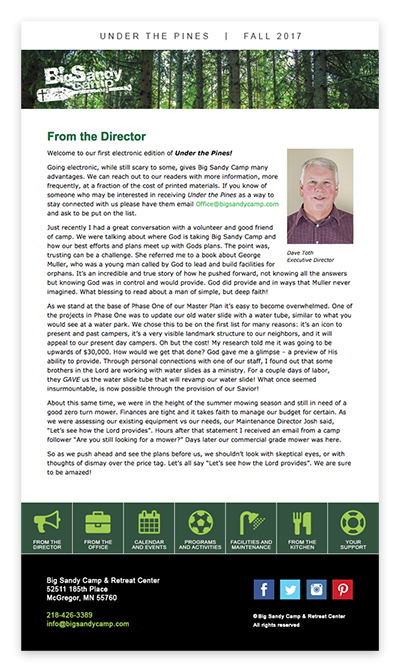 Welcome to our first electronic edition of Under the Pines! Going electronic, while still scary to some, gives Big Sandy Camp many advantages. We can reach out to our readers with more information, more frequently, at a fraction of the cost of printed materials. If you know of someone who may be interested in receiving Under the Pines as a way to stay connected with us please have them email office@bigsandycamp.com and ask to be put on the list.